Join us this November/December to celebrate the life and work of Ireland's most popular author. 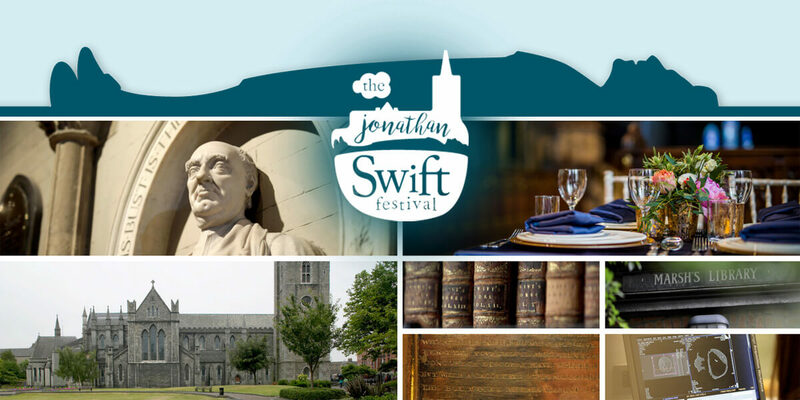 Awaken Your Inner Giant at The Jonathan Swift Festival as we explore the life and legacy of one of Ireland's greatest luminaries. Challenge yourself at one of our public debates and discussions. Have your funny bone tickled at “Swift Laugh's.” Relax and join us for a “Swift Beer” at our 18th Century Tasting Session. Transport yourself to fantastical lands of music and performance. Lose yourself in the magic and mayhem of “Gulliver's Fair” in which the market place of Swift's most famous work comes to life. From Satire to Science – This year's Festival has it covered as we invite you from near and abroad to celebrate with us the many words and worlds of Jonathan Swift.